It is hard to keep pace with Rahm Emanuel. When we followed him through his city for a profile in the April issue of Capital magazine, it seemed as if the days did not have enough hours to pursue all the projects President Barack Obama’s former chief-of-staff had set out to do as the mayor of Chicago. On a morning in January, he started the day at a breakfast in honor of the slain civil rights activist Martin Luther King. “I just had a call from the President”, he told his African-American audience. “He wishes you all well.” At noon, he joined female Internet entrepreneurs at a lunch meeting in his offices, before he shoveled dirt at the groundbreaking of Chicago’s first commercial high-rise project since the onset of the economic crisis. “This could have taken another year, but patience is not one of my strong suits,” said Emanuel who expedited bureaucratic procedures. As the Democratic mayor of a Democratic city, he does not have to wait for Congress to pass policies aimed at funding infrastructure, protecting the environment or strengthening vocational training at Chicago’s city colleges. He can just do it – and use the city as a test lab for a Democratic agenda. The problem is: His city does not seem to love him back. In a poll taken in February, only 2 percent of Chicagoans approved strongly of his job performance, while 12 percent “somewhat approved”. Being the decider-in-chief also means owning unpopular decisions. Chicago faces a serious budget gap, and having just survived a major teacher strike last year, the mayor caused a new uproar with the announcement to close dozens of elementary schools in his city. Emanuel seems to have become the big polarizer yet again – an image he carried over from his time in the White House where many blamed his brazen style of having exacerbated the frictions between the administrations and the legislators. 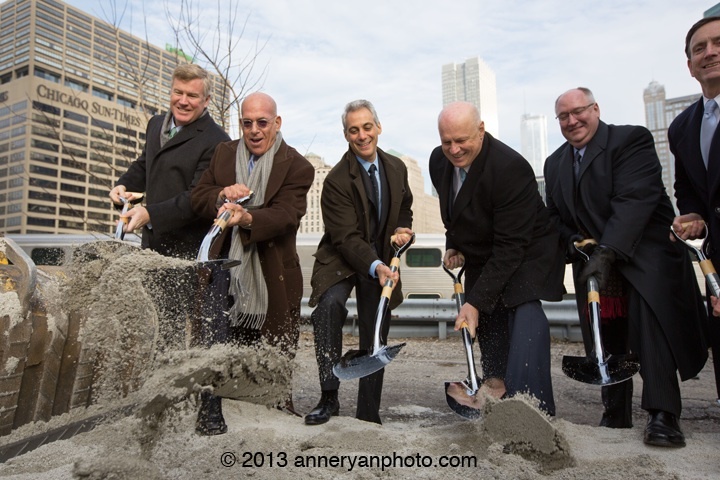 As the mayor of Chicago, he has never left the national stage and stayed involved in the country’s partisan debates. In January he traveled to Washington to lobby for stricter gun control – an important issue for his crime-ridden city. 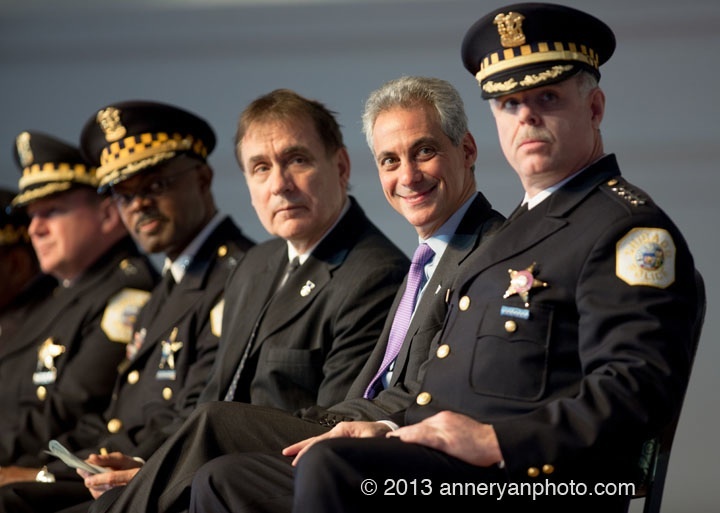 At a graduation ceremony for 32 new police officers, Emanuel applauded Obama’s efforts to rein in gun ownership. The speech was “fine”, but “too political”, some in the audience commented. At Obama’s second inauguration celebrations in late January, a party hosted by Emanuel was one of the hottest tickets in town. There are rumors among some Democrats that he might run for President in 2016 – should Hillary Clinton take a pass. Emanuel keeps the channels open, but denies any national ambitions. Being the mayor of Chicago is more than a full-time job. This entry was posted in Americana and tagged Barack Obama, Chicago, Rahm Emanuel. Bookmark the permalink.